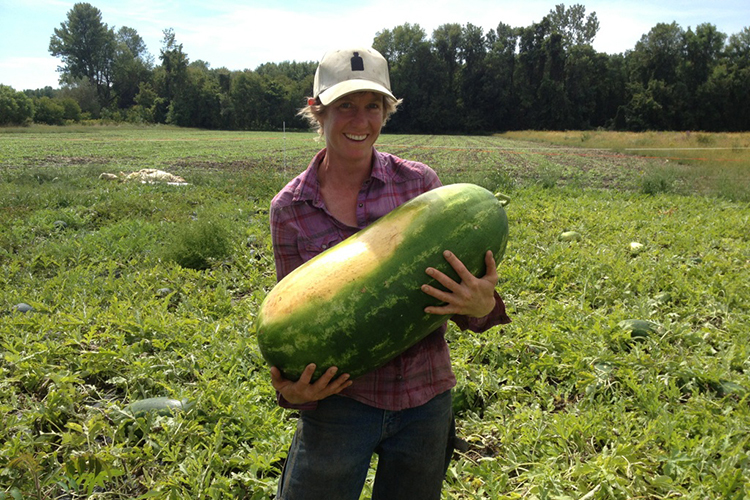 Diggers' Mirth Collective Farm was founded in 1992 as a collective at Burlington’s own Intervale. Today, the collectively-owned farm consists of five members farming 10 acres. Each year, Diggers' Mirth cultivates approximately 2/3 of the field and grows cover crops in the other portion to ensure soil regeneration. They grow over 25 types of vegetables and fruits. The farm is a main grower for carrots, beets, basil, watermelon, and baby spinach for part of the season. They are also one of the founding members of the Old North End Farmers Market and do a mobile Veggie Truck making stops in the Old North End.